Tatyana McFadden described herself as delighted to have been on the Rio Paralympic Games podium six times, adding that most people don’t even get one chance. 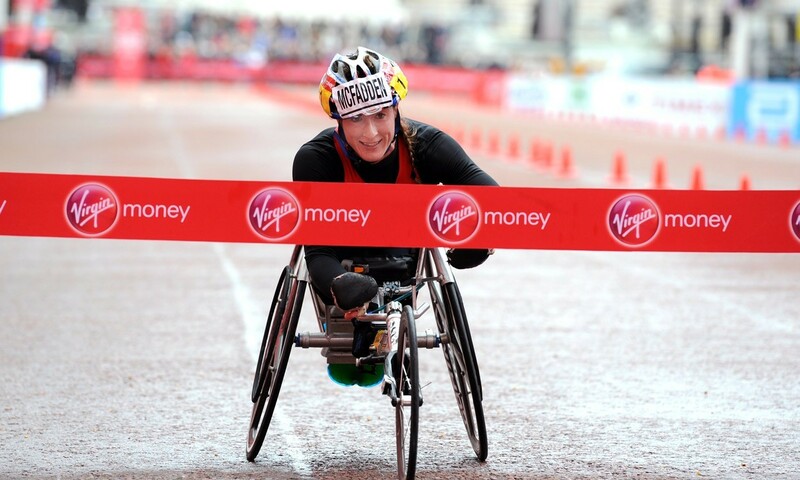 She was involved in seven events in Rio, winning the 400m, 800m, 1500m and 5000m in the T54 wheelchair racing class. She also got silver medals in the 100m and the marathon. In the seventh event, the T53/54 4x400m relay, USA was disqualified but of the four teams involved three were disqualified with one reinstated! The ability to contest seven events (12 races including heats) in a 10-day period also seems remarkable. Again McFadden dismissed my question, saying that it was just like a hard training week. In fact, when asked how she felt about going from the 5000m almost straight to the relay, she said that the 5000m would serve as a good warm-up! Her defeat to Wenjun Liu of China in the 100m was not such a surprise as that sprint is the American’s weakest event. McFadden even took a positive from it. “With this silver I’m so happy because in London (2012 Paralympic Games) I got bronze so I’m moving up in my ranks!” she said. But then she is always such a positive person. In fact, she once put me in my place for using the word “disabled”, replying: “I have never seen myself as ‘disabled’. I think I am very able in everything I do.” She went on to tell me how she regularly found herself in the gym lifting heavier weights than so-called able-bodied men. As well as her track successes, McFadden has won 16 major marathons and she is keen to keep both sides of the sport going. However, she opted out of the 2015 IPC World Championships in Doha mainly because of the timing. Taking place in October, it was too close to the autumn marathons for her to do both. London 2017, being in July, should fit in better.